are a non-interacting pair of galaxies about 140,000,000 light-years distant, and about a half-million light-years apart. 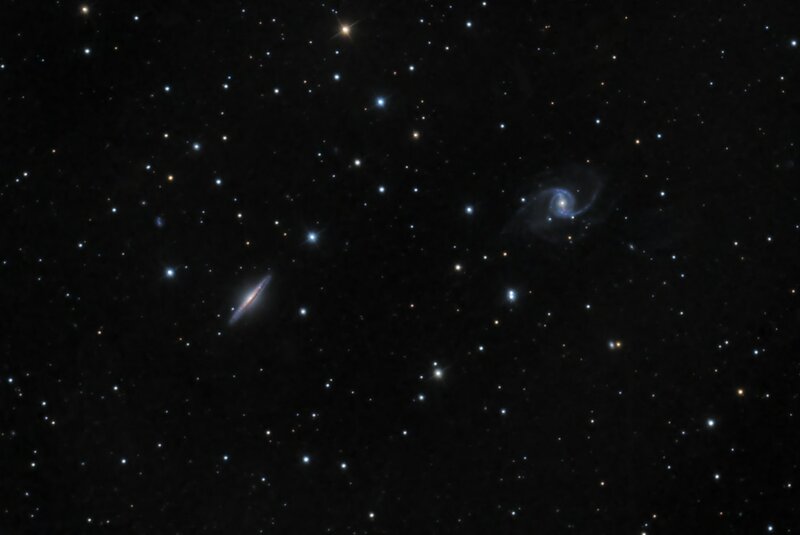 Oriented edge-on to us, the spiral nature of NGC 5908 at left is revealed by a bright central bulge with a dark band of obscuring dust across it. Seen face-on, NGC 5905 at right has loose, asymmetrical arms that wind outward from a prominent central bar. The data was acquired at New Mexico Skies in 2013.